Our Disney Snapshot of the Day today forces you to make a choice. Is the photo below a camera mishap or a once in a lifetime photo that captures the supernatural as it makes itself know to the world of the living? 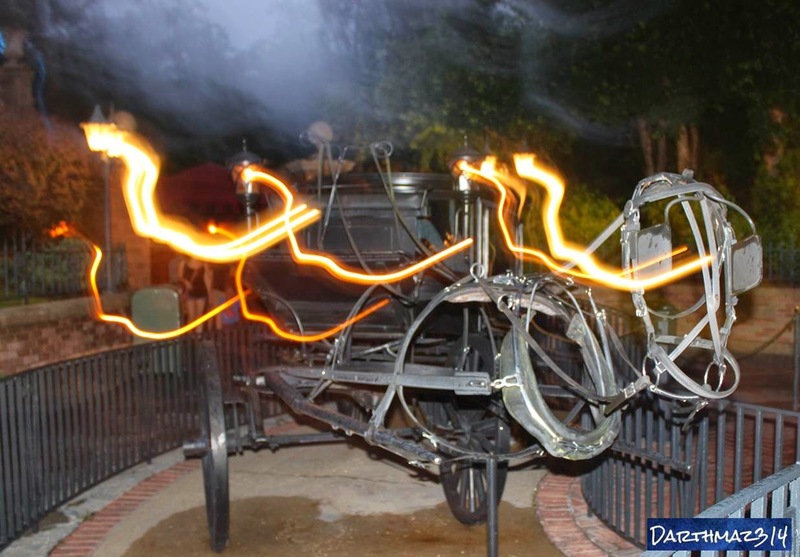 Has one of the "Happy Haunts" of the mansion been caught on camera as it whisks away from the hearse parked outside the building after a jaunt through the world of the living? Has one of the "grim grinning ghosts" actually "materialized?" darthmaz314 lets you make the choice.